LAS VEGAS, NV - Worldwide resort network Diamond Resorts International is a firm advocate of adventure, self-improvement, and the cultural understanding that comes from foreign travel. It has offered a list of ways traveling to foreign cities can change a person for the better and provided tips on how to successfully navigate through a new environment. Many vacationers agree that enjoying the culture and history of regions in countries across the world can have life-changing benefits. 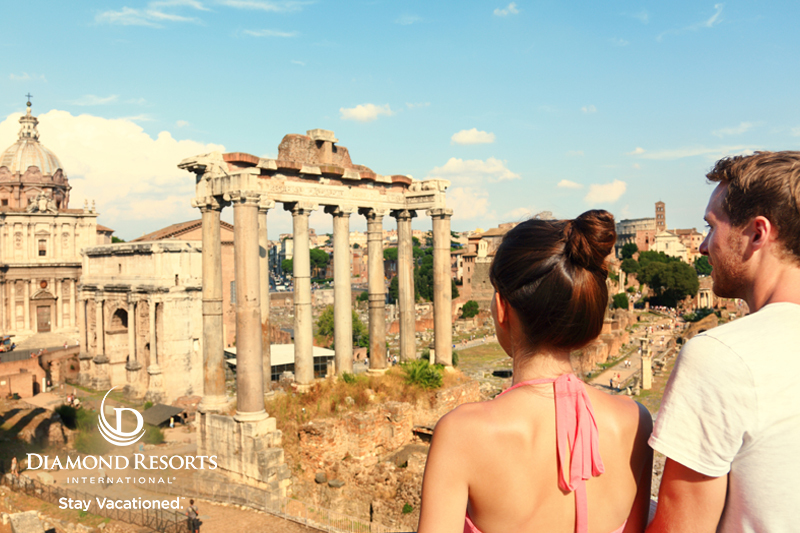 Diamond Resorts International believes that a benefit of traveling to foreign locations is a sudden increase in confidence. When vacationers take the first step on their journey, confidence has already risen beyond what it was before they committed to a brand new adventure. Most travelers report that their self-assurance remains a lifelong gift after visiting a new city, and that strength of confidence in turn expands many other positive character traits. If a person is naturally shy, they will most likely learn the skills needed to make friends and meet locals, navigating their personal and professional life much more boldly. The second most collective change travelers seem to experience is a growth in personal patience. This can be said for domestic as well as foreign travel, but it is when exploring a foreign country that all levels and varieties of patience and restraint become exercised. A traveler's endurance may be challenged by change in weather and climate; understanding a new transportation system and its etiquette, or embracing a brand new culture with unfamiliar traditions. Visitors feel a significant increase in patience when abandoning intolerance or a 'first world' sense of expectation and immediacy. Diamond Resorts also encourages all explorers to leave some time for wandering; make an effort to meet local people; learn a part of the language; and stay in one place as opposed to spreading the experience over several hotels each night. The last point may seem counterintuitive to a travel excursion, but most people discover that they do not have the time to exercise the first three tips when they are constantly moving around, and unable to embrace the destination and witness the new city around them. Finally, while no local would expect you to be fluent in their language as a visitor, just a few key phrases and conversational sentences can help to endear a traveler to the local, and make the traveler feel more welcomed in the location rather than an outsider. Diamond Resorts International, with its network of more than 370 vacation destinations located in 35 countries throughout the continental United States, Hawaii, Canada, Mexico, the Caribbean, South America, Central America, Europe, Asia, Australasia and Africa, provides guests with choice and flexibility to let them create their dream vacation, whether they are traveling an hour away or around the world. Our relaxing vacations have the power to give guests an increased sense of happiness and satisfaction in their lives, while feeling healthier and more fulfilled in their relationships, by enjoying memorable and meaningful experiences that let them Stay Vacationed. Diamond Resorts International manages vacation ownership resorts and sells vacation ownership points that provide members and owners with Vacations for Life at over 370 managed and affiliated properties and cruise itineraries.